The Internet's Most Advanced ‘Next Generation' Online Compliance & SaaS Document Generation Platform, Plus Easy-To-Understand Rules of The Road And Strategies! (Other Than Getting Nailed By The FTC)? Type: Membership Websites (Continuity Billing), Affiliate Networks. Defendant’s Marketing Strategy: “Free” trial offers on dozens of websites for shipping and handling charges for weight-loss pills, teeth whiteners, health supplements, a work-at-home schemes, access to government grants, free credit reports, and penny auctions. “Free” trials automatically converted to monthly continuity payment plans (negative option plans). Type: Work-At-Home (Not a Biz Op). Defendants: Apply Knowledge, LLC,affiliated companies, and individual insiders David Bevan, Jessica Bjarnson, Phillip Gannuscia, Chad Huntsman, Thomas Riskas, Babata Sonnenberg, and Ken Sonnenberg. 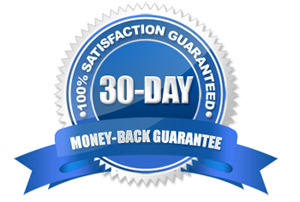 Defendants’ Marketing Strategy: Low-priced introductory work-at-home offers for money-making opportunities, followed by telemarketing for upsells to coaching programs, and finally by upsells for add-on services including business formation, website design, website development, accounting and tax filing services, and drop-shipping services. Type: Membership Website (Continuity Billing). Defendants: Commerce Planet, Inc. and individual corporate officers Michael Hill, Charles Gugliuzza, and Aaron Gravitz. 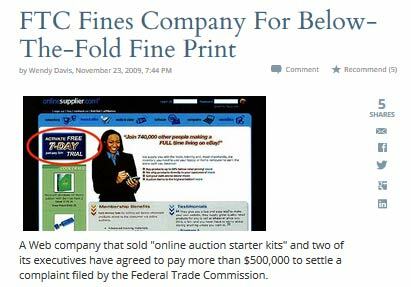 Defendant’s Marketing Strategy: “Free” trial offers of "online auction kits" for shipping and handling charges that included information about how to start a business selling products on online auction sites such as eBay. “Free” trials automatically converted to monthly continuity payment plans (negative option plans). Defendants: Innovative Marketing, Inc., related entities, and individual insiders including Kristy Ross. 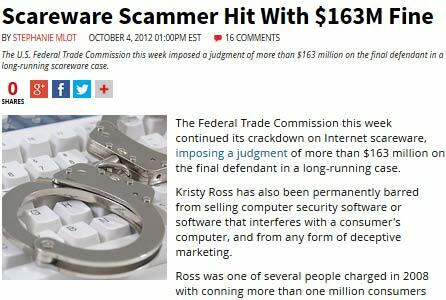 Defendant’s Marketing Strategy: Provide notices to consumers of free security scans on their computers that indicated errors and viruses. Then follow-up with offers for computer security software. Defendants: Beony International LLC, owner and member Mario Milanovic, and employee, Cody Adams. 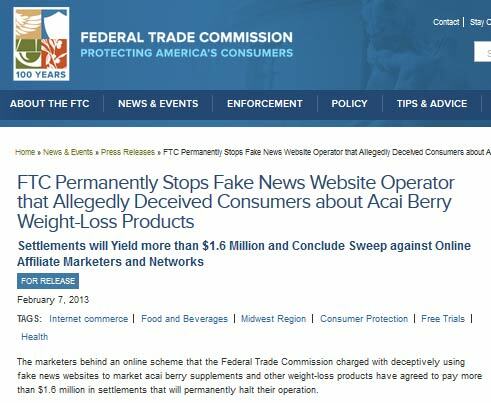 Defendant's Marketing Strategy: Operate fake news websites as affiliates to drive traffic to merchant websites for sale of acai berry supplements and other weight-loss products. Defendants would be paid a commission based on traffic and/or sales. Type: Membership Websites (Continuity Billing Plans, Negative Option Plans). Defendants: JDI Dating, Limited and corporate insider William Thomas. 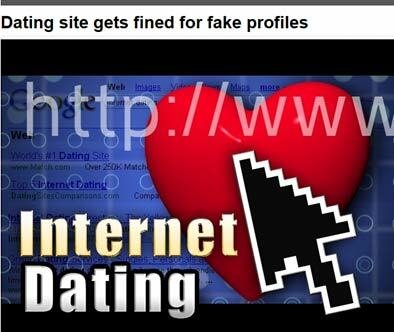 Defendant's Marketing Strategy: Operate a worldwide dating service consisting of 18 websites and charge subscribers a fee to gain access to profiles of persons who may be good matches for love interests. Free memberships with limited access to profiles and matches could be upgraded to paid subscriptions with greater access. Use fake, computer-generated profiles to encourage free members to upgrade to paid subscribers. Paid subscribers would be charged renewal fees automatically (a continuity billing plan, or negative option plan). Defendants: One Technologies, LP and related entities. Defendant's Marketing Strategy: Operate 50+ websites to initially provide free credit scores to consumers. Consumers who requested free credit scores would be automatically enrolled into a credit monitoring program and charged monthly fees for membership in the program (a continuity billing plan, or negative option plan). Type: Work-At-Home (a Biz Op). 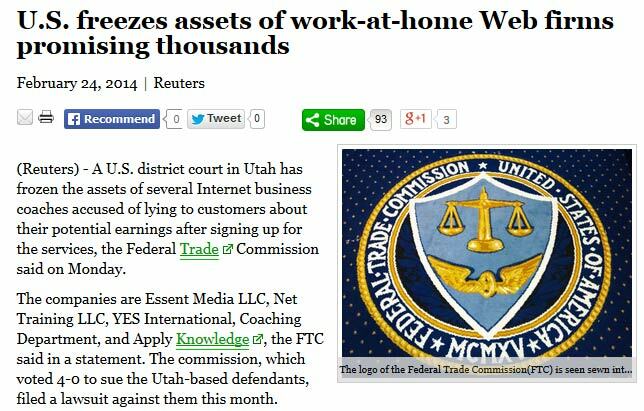 Defendant's Marketing Strategy: Sell websites to work-at-home purchasers and training to become affiliate marketers for well-known companies such as Prada, Sony, Louis Vuitton, and Verizon to be followed by upsells for additional items such as domain names, website hosting services, coaching training, affiliate marketing training, and website enhancement materials. Type: Work-At-Home, a Biz Op. Defendants: The Zaken Corp. and corporate insider Tiran Zaken. 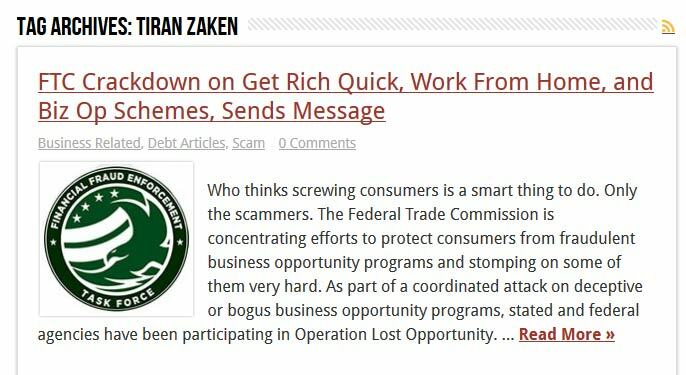 Defendant’s Marketing Strategy: Use direct mail and a website to sell a “kit” to consumers with training on how to find businesses with excess inventory to sell, and then Zaken would find a buyer for the inventory and pay consumers a finder’s fee for half the sales price. Follow up with upsells for tools to assist consumers with locating businesses with excess inventory. Deceptive marketing practices by luring unsuspecting consumers into continuity (negative option) plans without providing conspicuous notice to consumers. Used affiliate networks with knowledge that affiliates were engaged in deceptive marketing practices. Legal disclosures on separate website pages were insufficient notice for consumers to make an informed purchase decision. Permanently banned Willms from using continuity billing (negative option) plans. Personal liability for consent judgment of $359 million (not dischargeable in bankruptcy). Judgment suspended upon Willms’ surrender of bank account funds and proceeds from the sale of his house, personal property, and corporate assets, including Cadillac Escalade, wife’s fur coat, and artwork. Compliance reporting for 20 years, sworn under penalty of perjury (i) contact information, (ii) all business activities, (iii) advertisements and marketing materials, (iv) accounting records of all sales, and (v) consumer complaints. Defendants’ websites told numerous false “rags to riches” stories, using photos – obtained from stock photo agencies – of supposed users of the defendants’ services. False and unsubstantiated claims about how much money consumers could earn. Location of Defendants: United States. Appointed a temporary receiver to take control of the operations, pending the outcome of a preliminary injunction hearing. Deceptive marketing practices and complete scam in that no scans were ever conducted and the number of errors reported were pre-determined. Security software failed to clean computers as claimed. corporate defendant, Innovative Marketing, Inc., was incorporated under the laws of Belize and operated out of a principal office in Ukraine. Corporate officers lived in Sweden, Brazil, Canada, and the United States. After Temporary Restraining Order, Court issued Permanent Injunction. All defendants were permanently banned from deceptive ads and marketing computer security products, all assets and bank accounts were frozen, websites suspended, and orders for financial and business records, asset accounting ordered produced, preservation of business records, and identification of affiliates. Joint and several, personal liability for over $163 million for equitable monetary relief, against Innovative Marketing and all individual corporate officers regardless of location (not dischargeable in bankruptcy). Some defendants settled the claims, and some had default judgments. Corporate insider, Kristy Ross appealed, but the 4th Circuit Court of Appeals affirmed the District Court ruling, including the personal liability of Kristy Ross for over $163 million (not dischargeable in bankruptcy), and permanent ban on marketing computer security products . Deceptive marketing practices by enrolling consumers into expensive continuity payment (negative option) plans without their knowledge or consent. Website documents buried disclosures of the negative option plan in fine print below the fold of the website pages resulting in insufficient notice for consumers to make an informed purchase decision. Used split testing to test affect on conversions regarding placement of legal notices. 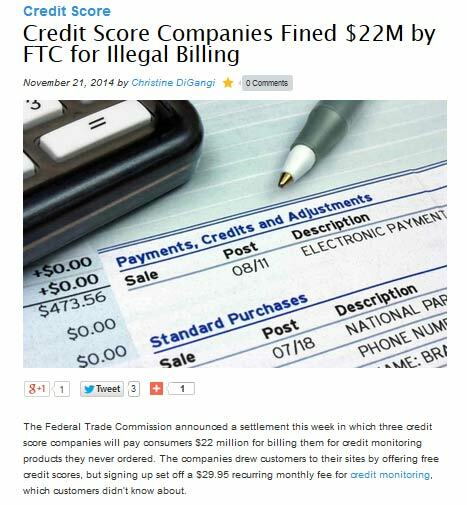 Prior to filing suit, the FTC demanded records regarding Commerce Planet’s marketing practices. In response, Commerce Planet modified its disclosures regarding continuity payment by removing the free trial offer and by significantly clarifying the membership terms on the landing and billing pages, resulting in a sever reduction in sales. Awarded injunctive relief, including permanent ban from marketing with continuity billing plans. Joint and several, personal liability $18.2 million and individual corporate officers (not dischargeable in bankruptcy). Aaron Gravits settled the FTC claims for $192,000, plus monitoring obligations to ensure compliance with the Order, permanent injunction from use of continuity billing plans, compliance monitoring, compliance reporting regarding business activities and employment for 3 years, record keeping reporting for 6 years. The president, Charles Gugliuzza appealed the decision of the District Court, but the 9th Circuit Court of Appeals affirmed the District Court ruling, including the personal liability of Charles Gugliuzza for $18.2 million (50% of total amount of net payments by consumers) (not dischargeable in bankruptcy). FTC Act authorizes equitable restitution measured by consumer’s loss. Gugliuzza is personally liable due to participation in, and authority to control, website marketing. Compliance Reporting for 20 years for monitoring obligations to ensure compliance with the Order, permanent injunction from use of continuity billing plans, compliance monitoring, compliance reporting regarding business activities and employment, and record keeping reporting. Defendant’s Marketing Strategy: Operate fake news websites as affiliates to drive traffic to merchant websites for sale of acai berry supplements and other weight-loss products. Defendants would be paid a commission based on traffic and/or sales. False and deceptive practices based websites with fake news formats that were designed to appear as if they were part of legitimate news organizations, but were actually nothing more than advertisements deceptively enticing consumers to buy acai berry weight-loss products featured in the “news reports.” With titles such as “News 6 News Alerts,” “Health News Health Alerts,” or “Health 5 Beat Health News,” the sites often falsely represented that the reports they carried had been seen on major media outlets such as ABC, Fox News, CBS, CNN, USA Today, and Consumer Reports. Investigative-sounding headlines presented stories that purported to document a reporters’ first-hand experiences with acai berry supplements – typically claiming to have lost 25 pounds in four weeks. False and deceptive practices regarding fake independent studies for the products marketed. False and unsubstantiated weight loss claims about the acai berry supplements, as much as 25 pounds in 4 weeks. Failure to disclose “material connections” with merchants of products promoted. After Temporary Restraining Order, Court issued Stipulated Permanent Injunction. All defendants were banned from fake news, fake independent studies, failing to disclose material connections, selling weigh loss or health-related products, and making unsubstantiated claims; all assets and bank accounts were frozen, except for $5,000 per month for living expenses, and defendants were ordered to produce financial records and accounting, post notices of lawsuit on websites, and preserve all records. Permanently banned defendants from sale of weight loss and health-related products. Joint and several, personal liability for equitable monetary relief in the amount of $12,988,603 (not dischargeable in bankruptcy), provided that for Defendant Cody Adams, judgment would be suspended pending the payment of $34,000 and sales proceeds of his Porsche automobile. Payment of monetary relief is not deductible for federal income taxes. Deceptive marketing practices with fake, computer-generated profiles to trick users into to trick users into upgrading to paid memberships. The FTC claimed that the only indication the profiles were fake was a tiny "v" encircled by a "C", and users were unlikely to notice it, let alone understand what it meant. Deceptive marketing practices by failure to disclose automatic renewal terms (continuity billing plan, or negative option plan). The automatic renewal feature was buried, the FTC said, in multiple pages of densely worded text inside the Terms of Conditions—which most people don't read. Violated Restore Online Shoppers' Confidence Act (ROSCA) by failing to (i) conspicuously disclose material terms, (ii) obtain express informed consent before charging, and (iii) provide a simple opt out. Location of Defendants: United kingdom. Permanently banned defendants from misrepresentations regarding claims and refund policies, including the ROSCA statute. Joint and several, personal liability for consent judgment of $616,165 (not dischargeable in bankruptcy). Compliance reporting for 10 years, sworn under penalty of perjury (i) contact information, (ii) all business activities, (iii) advertisements and marketing materials, (iv) accounting records of all sales, and (v) consumer complaints. Defendant’s Marketing Strategy: Operate 50+ websites to initially provide free credit scores to consumers. Consumers who requested free credit scores would be automatically enrolled into a credit monitoring program and charged monthly fees for membership in the program (a continuity billing plan, or negative option plan). “Deceptive omissions of material facts” by failure to disclose automatic renewal terms (continuity billing plan, or negative option plan), despite multiple, above-the-fold notices, which according to the FTC, were not “big enough, or bright enough, or prominently positioned enough”. Violated Restore Online Shoppers’ Confidence Act (ROSCA) by failing to (i) conspicuously disclose material terms, (ii) obtain express informed consent before charging, and (iii) provide a simple opt out. State of Illinois Allegations: Violation of Illinois Consumer Protection Act (“Little FTC” Act), including the failure to honor cancellation requests. State of Ohio Allegations: Violation of Ohio Consumer Practices Act (“Little FTC” Act). Defendants are permanently prohibited from violating ROSCA, misrepresenting material facts about any product or service marketed with a negative option, misrepresenting material terms of any refund or cancellation policy, and failing to clearly disclose, before a consumer consents to pay via a negative option, all materials terms of any such policy. Defendants are permanently prohibited from failing to disclose, before a consumer agrees to pay for something via a negative option, the name of the seller or provider or the name of the product or service as it appears in billing statements, a product description and its cost, the length of any trial period, and the mechanism to stop any recurring charges. Defendants are also barred from using billing information to obtain payment for any product or service marketed with a negative option without the consumer’s prior express informed consent, as prescribed in the court order. Consent judgment of equitable relief in the amount of $22 million (not dischargeable in bankruptcy). Compliance reporting for 20 years, sworn under penalty of perjury (i) contact information, and (ii) all business activities. Recordkeeping reporting for 10 years of revenues of good sold personnel records, consumer complaint records, all records of compliance with settlement order. Defendant’s Marketing Strategy: Sell websites to work-at-home purchasers and training to become affiliate marketers for well-known companies such as Prada, Sony, Louis Vuitton, and Verizon to be followed by upsells for additional items such as domain names, website hosting services, coaching training, affiliate marketing training, and website enhancement materials. False marketing practices regarding (i) earnings claims of up to $15,000 per month, and (ii) costs to operate business (for a fee of $27, will provide “everything … need to get started”). Deceptive marketing practices for failure to substantiate earnings claims. Violated Business Opportunity rule by providing “outlets” in the form of websites without the required disclosures. Initial Court Order Summary: Imposed asset and bank account freeze, and placed defendants’ businesses into receivership. 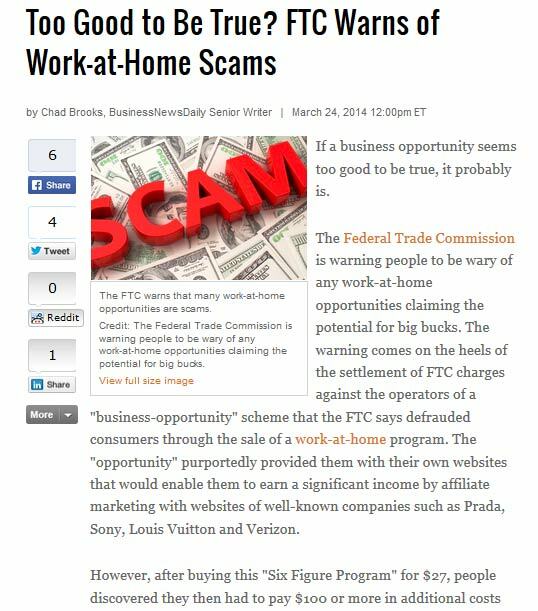 Permanently banned defendants from sale of business opportunities and work-at-home opportunities . Joint and several, personal liability for consent judgment of $2,923,318 (not dischargeable in bankruptcy). Judgment suspended upon surrender of all personal assets and bank accounts, sworn under penalty of perjury; full amount of judgment to become due immediately if defendants’ have misrepresented financial condition. Compliance reporting for 15 years, sworn under penalty of perjury (i) contact information, (ii) all business activities, (iii) advertisements and marketing materials, (iv) accounting records of all sales, and (v) consumer complaints. 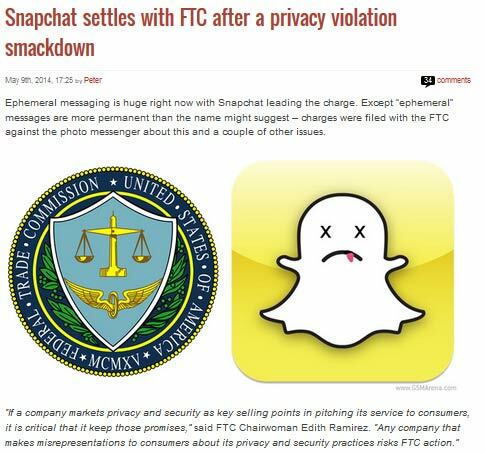 False or misleading claims that the user’s ability to send snaps that would “disappear forever" after the sender-designated time period expired, when in fact there were several ways that recipients could save snaps indefinitely. False or misleading claims that the sender will be notified if the recipient take a screenshot of the snap, when in fact the sender may not be notified. purpose of finding friends on the service” when in fact the Snapchat application collected more that the stipulated elements (i.e. collected the names and phone numbers of all contacts in the user’s mobile device address book). Deceptive claims regarding taking reasonable security steps in the Snapchat “Find Friends” feature, when it would have been relatively easy to do so. Deceptive claims regarding taking reasonable security measures to protect personal information, when in fact such measures were not taken. Permanently banned defendants from engaging in practices in Complaint. Required to maintain a comprehensive privacy program. Compliance assessment reporting for 20 years, sworn under penalty of perjury to ensure compliance with Order. False and deceptive practices claiming consumers would earn at least $4,000 or more in the first 30 days and, on average, $4,280 per deal, and that a “realistic ballpark figure” estimate that “2 to 4 hours a week working this business will earn [participants] an average of $3,000 to $6,0000”, when in fact fewer that 1% of customers made any income at all. Violated Business Opportunity rule by finding “outlets” for consumers and by making “buy back promises. The Court granted summary judgment in favor of the FTC on all claims. Joint and several, personal liability for equitable monetary relief in the amount $25,406,781 (not dischargeable in bankruptcy). Joint and several, personal liability for $25,406,781 (not dischargeable in bankruptcy). Generic, cookie-cutter forms that don't reflect your unique business offer scant legal protection. Our Platform uses the same intelligent RBDA(Rule-Based Document Assembly) technology that Chip Cooper uses every day to create customized documents in his Internet law practice. 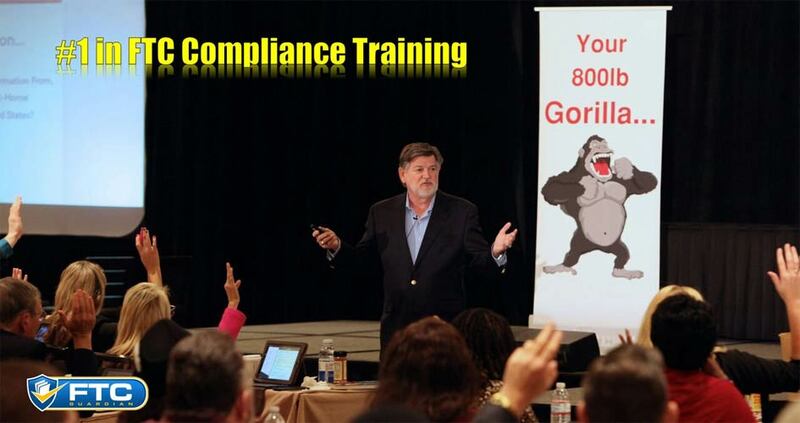 Chip is a top-rated, full-time Internet Attorney who's in the trenches every day with online marketers! Beware of automatically updated website legal documents! There's no single strategy for any new legal development. For your protection, updates should not be made without your knowledge, and they should reflect your own specific risk-avoidance strategies. Be forewarned – there's no such thing as “set it and forget it” when it comes to protecting your online business from FTC claims. The FTC Guardian Platform provides you the tools to decide how to update documents in response to new legal developments. To Confidently Operate Your Business, You Need Simplified Explanations of Complex FTC Regulations and Easy-To-Implement Risk-Avoidance Strategies! 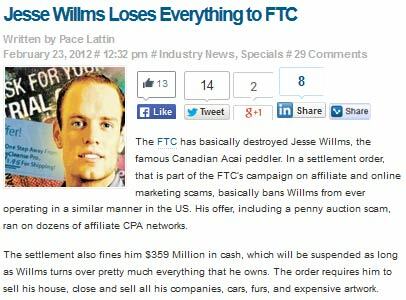 You have to look no further than the cases cited above to understand that the FTC is aggressively enforcing its regulations against online marketers. Understand this: if you sell to consumers (including work-at-home customers) who are located in the United States, you're subject to the FTC's jurisdiction regardless of where you're located. And your personal assets are at risk; no corporation or LLC will protect them. Make no mistake… cleverly worded disclaimers and other website legal documents won't adequately protect you if you don't operate your online business in compliance with FTC Regulations. It's as simple as that! FTC Guardian provides easy 5-minute videos, tutorials, and Live Hangouts 2 times per month, with your questions answered, to help you develop your own risk-avoidance strategies. What If FTC Compliance Could Become A Marketing Asset? After all, the pace of FTC enforcement has steadily increased since 2009, and it will continue at an increasing rate into the foreseeable future. Your customers and prospects are becoming more aware of Privacy regulation. And they're also more aware of regulations affecting membership sites, continuity plans, and deceptive marketing. FTC Guardian Members are authorized to display the Verified Member Trust Seal. Display of the FTC Guardian Trust Seal could inspire trust in your prospects and customers. Privacy and Data Security of Personal Information. » Phil Schnyder, President & CEO, askSam Systems, Inc.
You get an A+++ for your Hangout on WebinarJam! Bravo! FTC Guardian is the best website compliance solution in the business. Note: France Thorsen is an affiliate and is paid a commission on sales. Over the last three years I've tried two other similarly priced website legal document services – not because I have money to burn, but because I wanted to see if I was missing anything. Neither of the other two came close to the comprehensive scope of FTC Guardian – the ongoing education alone is worth the price of admission. This is an area that the Internet Marketing world seldom even mentions as an issue, but anyone who is starting or running an eCommerce website needs this service. My unqualified recommendation is: Get FTC Guardian NOW! If you're not satisfied with FTC Guardian™ for any reason or no reason… Notify us per our Refund Policy below, and we'll gladly give you a complete refund, no questions asked. Our Blueprint And Online Platform Make It Easy! Short videos will explain how the FTC operates and why compliance is critically important. Answer simple questions. Help text is provided. Documents are posted to your website with an embed code that you paste on your WordPress website and or any other site. Simple and easy! These include documents for compliance with the membership site regulations, privacy agreements agreements for your service providers who have access to your server, etc. Remember, there's more to protecting your assets than cleverly worded disclaimers. Your Customer Agreement not only limits your liability, it also clearly establishes the business points you need to ensure a profitable transaction. This is the critically important final step. We provide the tools to help you develop your own risk-avoidance strategies. You need both documents and strategies for FTC compliance.